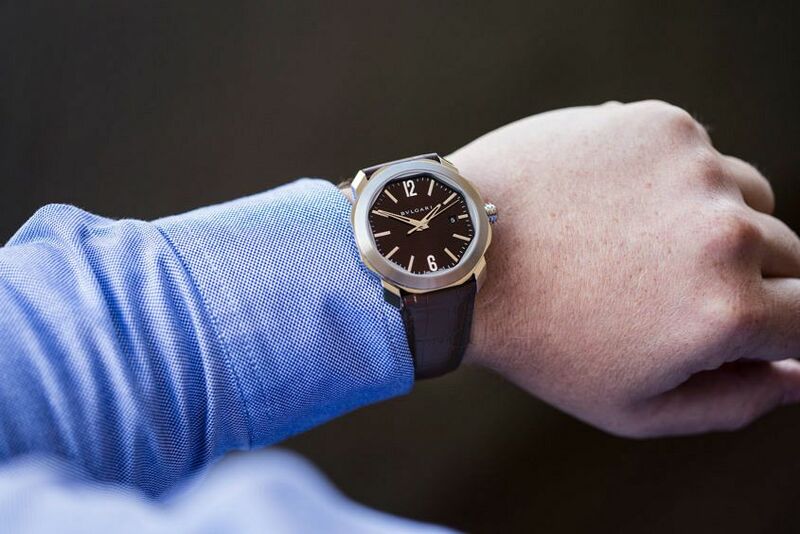 “When in Rome, do as the Romans do”, rather ironically, is not a saying that appears to be said very often around the watch design department at Bulgari. In the last few years the brand’s unique Octo collection has thrust them to the forefront of watch manufacturing, not only technically – with record-breaking pieces like the thinnest tourbillon, the thinnest minute repeater, and the thinnest automatic movement – but aesthetically as well, with unique eight-sided case designs inspired by the octagonal motifs adorning the domed ceilings of the Basilica of Maxentius in Rome. 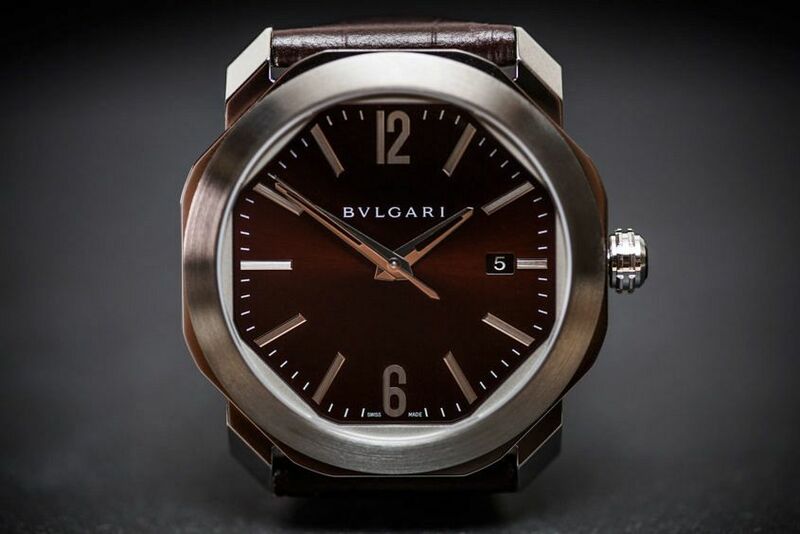 This year, creating what Bulgari refer to as the “fifth element” of the Octo line, they have released the Octo Roma, with a softer take on this bold, masculine case design. 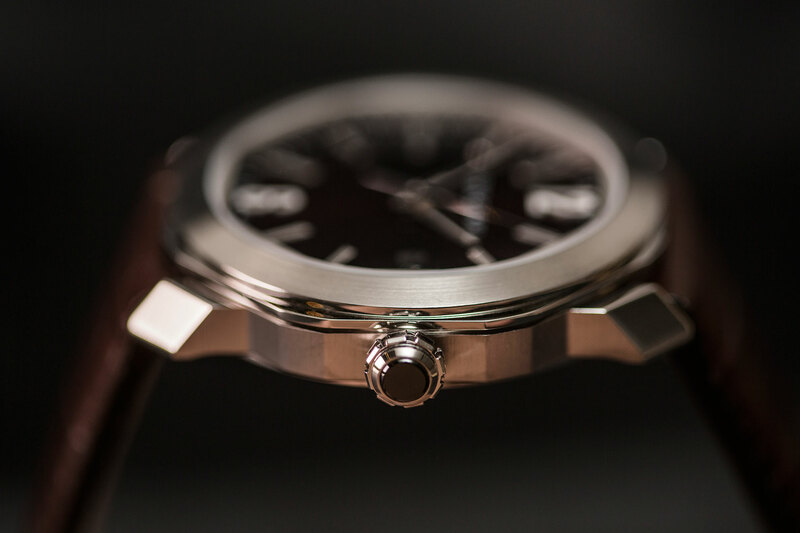 Less square and more round, the 41mm case has been reworked, with its lugs narrowed to 32.5mm, emphasising the circular bezel and greatly reducing the number of facets from 110 to 58. However, the Octo’s iconic case shape is not lost. Instead, the Octo Roma has brought the design back to its purest form, the octagon, but in a more rounded way. Available in steel, 18k pink gold, or a combination of both, the Octo Roma is the dressier everyday option in the collection, and is intended for those who appreciate the aggressive styling of the Octo but aren’t looking to pull off the look on the daily, and would prefer a more subdued approach. As well as the several case options, the Octo Roma is available with a number of dial variations – silver-toned, black lacquered, or a sunburst polished brown. However the dial proportions – as well as its octagonal shape, hour markers and hands – remain identical to the Octo. 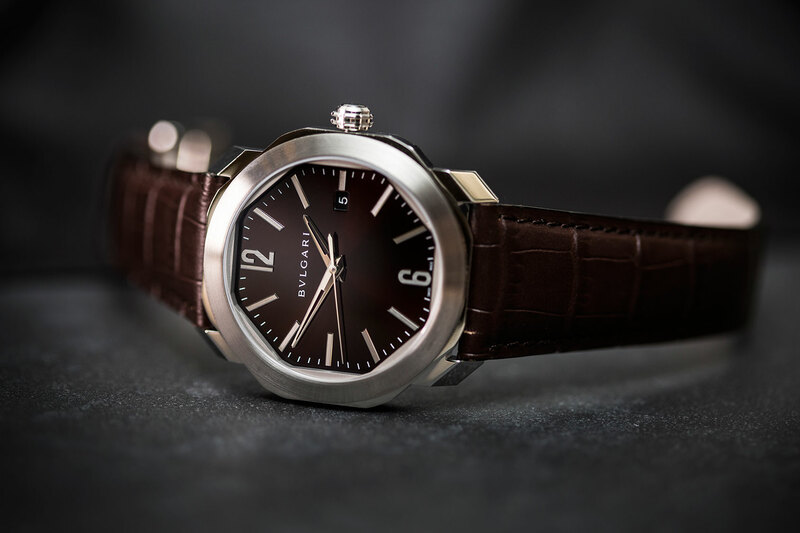 The standout dial for us is the rich, dark caramel brown, particularly when paired with the matching brown strap, which is no longer integrated and uses a more traditional set-up, elegantly presenting the toned-down case on the wrist. 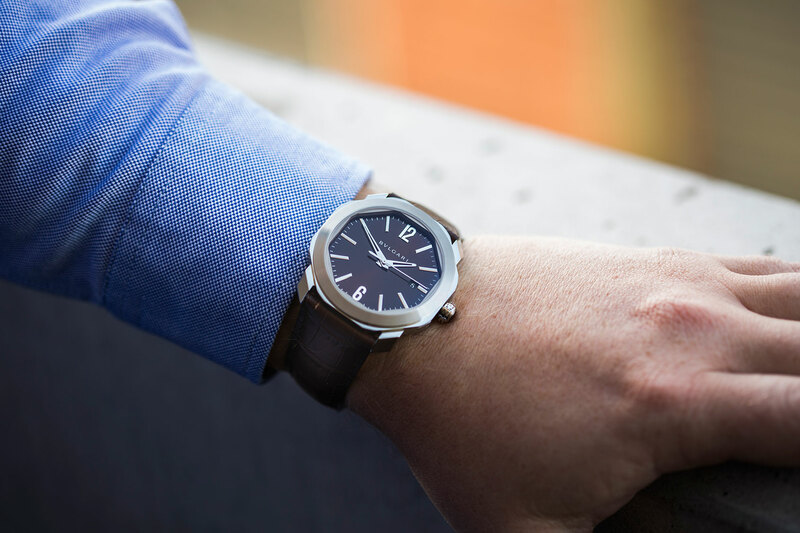 While all versions are available with a traditional alligator leather strap, only the stainless-steel versions have the option of a steel bracelet, with links not unlike the bracelet found on the Octo. 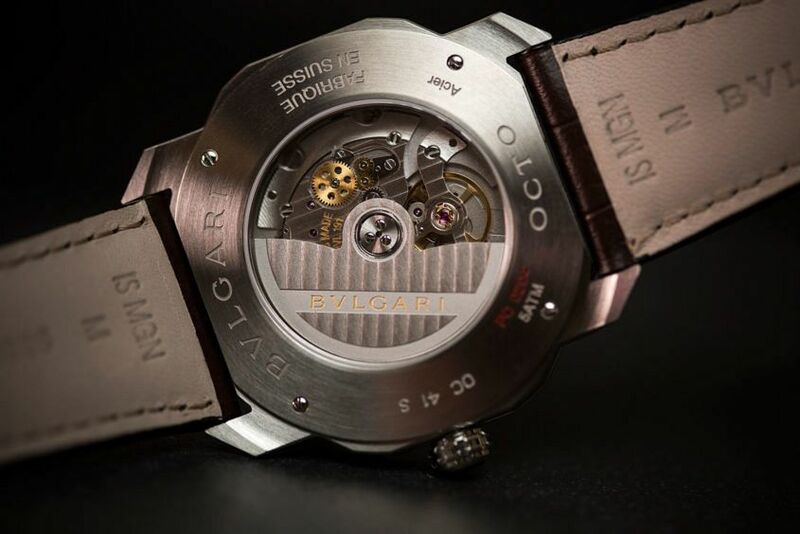 Underneath, and powering the Octo Roma, is Bulgari’s own bidirectional self-winding movement, the Calibre BVL 191 Solotempo, which is well decorated with Geneva striping and chamfered edges and has a 42-hour power reserve. The Bulgari Octo Roma smooths out the edges of the Octo, quintessentially rounding out the collection. So, if you found the razor-sharp edges of the Octo too intimidating and you happen to find yourself in Rome, there’s now another option for you to do as the Romans do.